With a nod to the recent shift to postnational and postnationalistic studies of the Americas the editors consider the study of popular music as paradigmatic for the shift from a purely national to transnational American Studies. After all, sounds travel fast, cross national and cultural boundaries constantly, and feed on cultural exchange both in processes of production and reception. Within the approach of tracing the routes of music and music’s impact on identity formation the editors take the popularity of U.S. American Popular music more or less for granted. 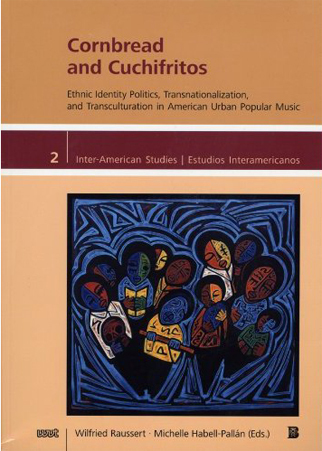 The volume aims to explore its impact on identity politics within the Americas and beyond, music’s interconnectedness to the emergence of new fluid ethnicities in urban contexts, and music’s historical links to processes of intercultural exchange. A major emphasis lies on the ethnic impact of U.S. American Popular music with a specific emphasis on Latino/a influences both on music within the United States and on the migration of sounds and music genres beyond national borders. Hence the compilation of essays aims at differentiating and rewriting existing histories of the emergence of U.S. American Popular music which focus primarily on intercultural exchange between European and African as well African American forms by exploring the yet absent Latino/a presence within these musical histories. At the same time the compilation intends to counter concepts of so-called world music, a label often used to homogenize fusion forms of music in times of globalization by em¬phasizing elements of ethnic as well as aesthetic differences in U.S. American Popular music and its global/local variations.